Custom in-ground spa pools transform your backyard into a therapeutic haven. With your personal spas, you can spend some peaceful moments alone or exciting times with your dear one with some love in the air. Landscapes WA gives you a way to enjoy this personal luxury with some soft music and hydrotherapy. Quality spa pools let you soak and relax in bubbling waters, accommodating even your family and friends. 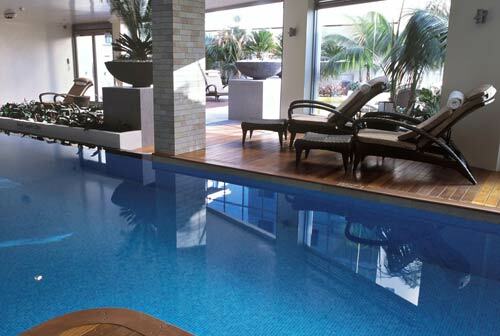 Landscapes WA specialises in spas and spa pools customised to fit your requirements and backyard. Our expert designers are experienced in giving you a relaxing resort in your property in Perth, WA. They carry out assessments regarding your budget, location, desired spa features and pool types, and expected time frame. Whether you want a brand new spa pool or seek renovation of your existing spas, we are here to your outdoor living space in ways you desire. Landscapes WA uses only the best construction materials,, and combines it with proper construction techniques and quality workmanship to create luxury spa pools. From the basic spa pools to spas with unique water features and massage jets, we bring your backyard retreat to life. Apart from adding to the beauty and value of the property, spa pools are expressions of your personality. They are tranquil spots where you can immerse and rejuvenate your senses. Regular use of spa pools can have therapeutic effects such as releasing muscle tension, alleviating pain, lowering blood pressure, encouraging sound sleep, improving skin tone and much more. Spa pools usually come with a range of exciting hydrotherapy features such as air geysers, air massage, water cannons and fountains, swim jet systems and submarine massage. Some spas even allow you to introduce fragrances to create an ultimate soothing experience for your body. Its time to enhance your fitness and health with your own personal retreat in your backyard! We treat your outdoor living space as a canvas and provide spa pools that fit your lifestyle. We design and build spas either separately in case you have a small space or in conjunction with swimming pools in case you want an fabulous retreat. At Landscapes WA, we offer you a wide variety of hydrotherapy jet options to help you unwind and relax your mind, body and soul.